Sandals is gone. And for the foreseeable future, it’s not coming back. Since then, though, in the three weeks since the company announced it was pulling out of the Tobago Sandals project, most of the discourse has been about why it failed. There have been scolding press conferences from the Government, blaming the media and “a handful of people with agendas” for the collapse of the deal. Academics and activists have countered that there was not enough information and engagement with the primary stakeholders – the people of TT ­– about the impact of the project on the economy and the environment. We can spend weeks debating the pros and cons of the deal, what went right and what went wrong, but at this point, that’s as useful as counting every grain of sand of on No Man’s Land. The fact is, Tobago is in desperate need of something that can kick-start its economy. Compared to Trinidad, practically every economic indicator on the island is inverse. According to the 2019 Tobago House of Assembly budget statement, Tobago’s GDP fell 1.6 per cent in 2017, whereas the overall country average was -1.0 per cent – 90 per cent of its GDP comes from the services sector. Government is also the primary economic driver, contributing 44 per cent to GDP while tourism, which has long been touted as the island’s magic bullet is just 14 per cent, and farming, which was ostensibly to be stimulated by the needs of the Sandals resorts, is just two per cent. More worryingly, unemployment in Tobago is higher than the national average ­– 6.6 per cent for the second quarter of 2017 compared to 5.3 per overall. Sixty-two per cent of those who had jobs worked for the Government. Inflation is also higher than the national average, particularly food inflation, which, as at March 2018 was 3.7 per cent, compared to 2.5 per cent overall. These data points don’t even capture the impact of the inter-island seabridge collapse for much of last year, which all but crippled the island’s economy. Government has promised two new fast ferries to solve the seabridge problem and they can’t come fast enough. But that still tethers the economy of the island to Trinidad. If Tobago is to grow substantially, it needs that anchor project to help stimulate it. At a recent forum to discuss the economic impact of the termination of the Sandals project, CEO of Tobago Tourism Agency, Louis Lewis, made it clear that if not Sandals, the island needs somebody. Tobago cannot hope to bump up its tourism if there’s not enough high-quality room stock to compete with other premium markets. If airlines and tour operators can’t get the momentum, they’ll by-pass the island for somewhere with more attractive returns. Thus far, the island is still in limbo with regards to the back-up plan now that Sandals has left. After spending the better part of two years talking about how Sandals was supposed to be the island’s economic saviour, Government’s short-term strategy seems to be deflecting criticism. Never mind they still haven’t produced a feasibility study, and that the Prime Minister all but admitted there had been no serious research into the project before inviting Sandals in as the sole select option. Few would argue against it, and indeed, the business associations in Tobago, including the hospitality sector, welcomed the potential of Sandals. Businessman Arthur Lok Jack, a friend of Sandals’ founder, Gordon “Butch” Stewart, even claimed that if Sandals reconsiders, he’s willing, and believes he’s able, to raise a private sector consortium to provide at least US$250 million in equity investment in the project. 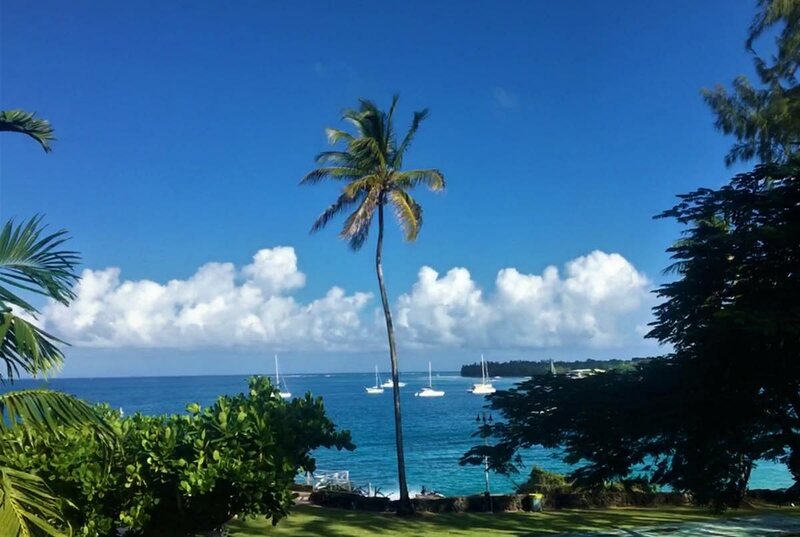 Recently on social media, articles featuring Tobago from international lifestyle magazines like GQ and Conde Nast Traveler, have been making the rounds. The island is called one of the “undiscovered jewels” of the Caribbean. There’s a market out there. If we can build it, they will come. Reply to "Business Day Editorial: Discovering Tobago"
What are the solutions to Petrotrin's problems? Can one say too much about disaster preparedness?